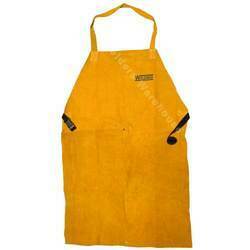 We offer 10 Pocket Professional Split Leather Carpenter Apron. It consist of 2 large main pockets, 2 medium sized nail pocket, 6 Small pencil pocket, 2 leather hammer loops & a steel tape holder. We offer Split Leather Welding Apron. These aprons are made up of Split Leather. 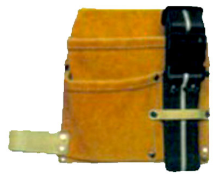 It consist of split leather shoulder & waist strap, 1 small pocket to hold valuables. 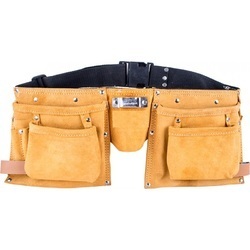 We offer 8 Pocket Split Leather Carpenter Nail & Tool Bag. It consisit of 1 large pocket, 1 medium sized pocket, 6 small pencil pocket with 2 leather hammer loops double stitched & rivet reinforced wide belt tunnel slot. & river for added strength adjustable belt with buckle. We offer 3 Pocket Split Leather Junior Pouch. 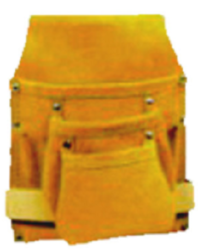 It consist of 1 large main pocket, 1 small tool pocket, 1 medium stitched pocket river for added strength wide belt tunnel slot. 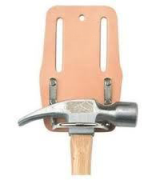 We offer Fix Hammer Holder. It has leather with fix chrome plated bucket & riveted. We offer Revolving Hammer Holder. It has leather with movable chrome plated bucket & riveted.